Towing, roadside assistance and car boost in Montreal and on the North shore; there’s only ONE choice: Remorquage SMGR. Our priority is to serve you, wherever you are, 24h/24, 7 days a week, with the service and the efficiency we have been known for, for over 35 years. Remorquage SMGR has been established in Montreal for over 35 years. For Our Detailed Services, Click HERE. It’s our pleasure to inform you about our organisation, the mission we have everyday, and our partnerships that have earned our reputation. 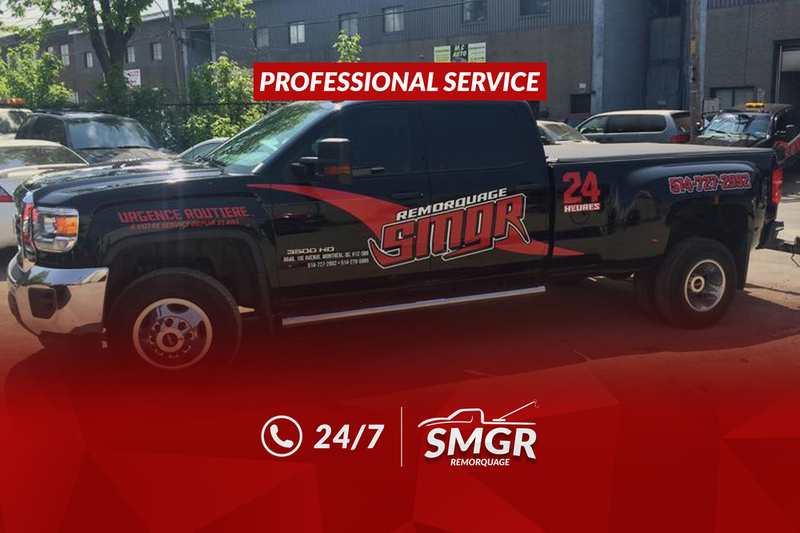 Wherever you are, 24 hours a day, SMGR Towing is there for you. Do not hesitate, and call us!